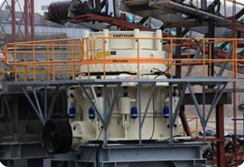 Cone crushers have stationary cone crusher and portable cone crusher. 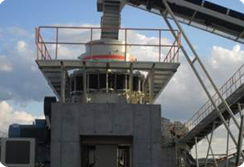 Cone crusher (MC Series) is used for crushing ores and rocks, and the advantages are : reliable structure, high efficiency, easy-to-adjust and economical. 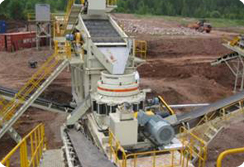 There are Spring cone crusher and Hydraulic cone crusher. 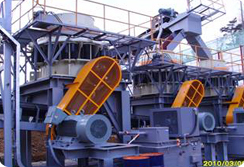 Cone crushers consists of frame, transmission device, hollow eccentric shaft, bowl-shaped bearing, crushing cone, springs and hydraulic pressure station for adjusting discharge opening. 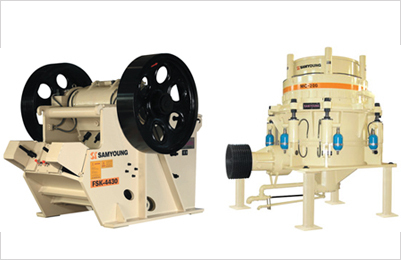 Cone crushers (MC Series) is widely used in industries like Ore mines, Road & Building Construction etc. 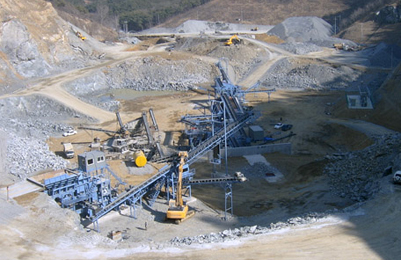 to crush many kinds of mid-hard or hard rocks and ores such as iron ore, limestone, granite, basalt, quartz etc. 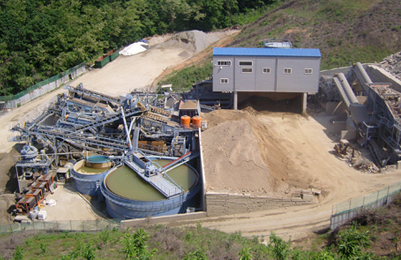 A-type Cone crushers are used for coarse crushing and B-type cone crushers are used for fine crushing. Hydraulic cone crusher is integrated with high velocity(RPM), optimal cavity shape and reasonable stroke. 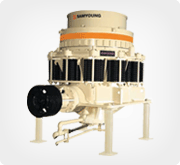 This efficient cone crusher (MC Series) has more reasonable and perfect structure and more advanced technology. 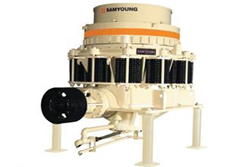 As the professional mining machinery manufacturer, Samyoung plant’s Cone crushers are used and welcomed in Korea cone crushersmarket and even worldwide. 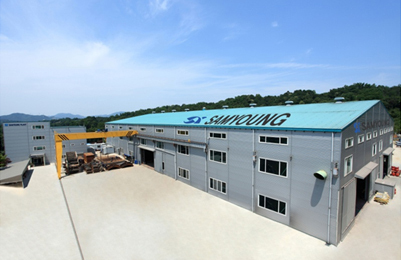 - Compared to same level of model, the production volume is increased for 16% or more. 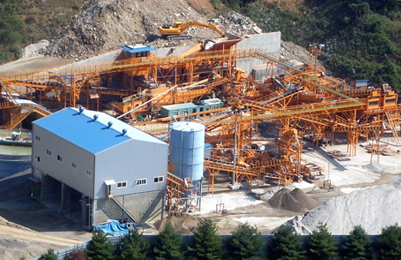 Type CC which can handle larger sizes of feed than Type CF is suitable for relatively coarse crushing, while Type CF is intended for finer reductions. 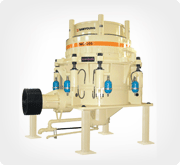 Type CSH Cone Crusher is designed to meet the special requirement of producing finer CRUSHERS in larger quantities than these obtainable with type CC and Type CF.